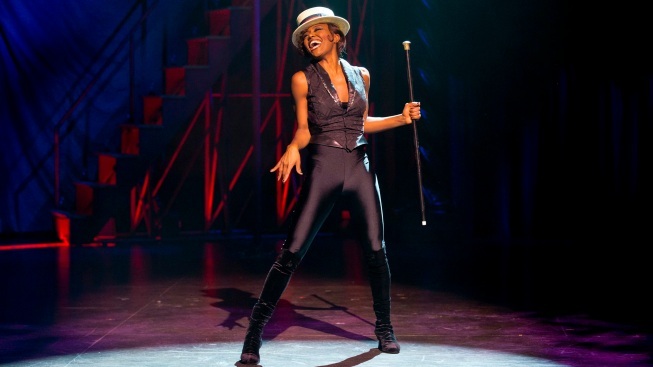 With “Pippin," opening next month at the Music Box Theatre, Patina Miller has big shoes to fill: she’s taken on a role that earned Ben Vereen a 1973 Tony Award. Like her castmates (who include newcomer Matthew James Thomas and Andrea Martin), Miller is reprising a performance fine-tuned this winter at the American Repertory Theater outside Boston. Her “Leading Player” is the head of a mysterious theater troupe who narrates the story of a young prince on his search for meaning in life. “Pippin” marks Miller’s second collaboration with Diane Paulus, the A.R.T.’s artistic director, after the 2008 Public Theater production of “Hair” in Central Park. Miller passed on the “Hair” transfer to Broadway in order to take the lead in 2009’s West End “Sister Act” premiere. She then brought sassy and streetwise Deloris Van Cartier to New York, earning a 2011 Tony nomination. In a spirited phone chat with NBC 4 New York this week, Miller answered some pressing questions, among them: Has she heard yet from Vereen? And how did she come up with that special name she’s secretly given her nameless character? She’ll tell you what it is, if you ask nicely. NBC4NY: Diane Paulus is a director who shakes things up, and she’s certainly done that with the Leading Player, who has experienced a gender change since the last time “Pippin” was on Broadway. MILLER: Right, that’s just what it’s always been for 40 years: the Leading Player was a man. But with Diane -- I’ve worked with her before -- she likes to make people see things in a different way. She told me what she had in mind for the Leading Player and I kept thinking: “Well, why couldn’t it be a female?” I think they saw men and woman (during auditions). And you know, luckily I kind of won out and convinced them a female could take on the role. NBC4NY: Have you heard from Ben Vereen? MILLER: Not yet! I’m interested to hear from him, though. I’m sure he’ll come see it ... It’s been amazing to do something that was originated by a man. Obviously, it’s a lot of pressure, because the piece is so well-known. I love the opportunity to bring something fresh to a character people thought they knew. NBC4NY: Stephen Schwartz, who wrote the music and lyrics for “Pippin,” attended your alma mater, Carnegie Mellon, and that’s where the story was conceived. But you weren’t familiar with "Pippin" until auditions for the American Repertory Theater’s production in Cambridge, right? MILLER: It’s true, I wasn’t familiar with “Pippin” the way everyone else seemed to be. I was never fortunate enough to do a production, but a lot of my friends have some sort of attachment to the show. So during my audition, I went and researched everything on the piece, and downloaded the album, and I finally got why people are so attached to it. It’s an everyman story. NBC4NY: Just a guy looking for his corner of the sky, like all of us. MILLER: It touches on subjects that hit close to home. It’s a show that’s been relevant for 40 years, and you’d think: “Oh, it’s a period piece.” But it’s not. It’s about politics and family and love. It asks all those questions and touches on all those subjects that we as human beings from every walk of life have thought about. Pippin wants to be extraordinary, but doesn’t know how to get there. Everyone goes through those trials as a young adult. So I think that’s why people are really attached to it, because they can see themselves in Pippin, male or female. MILLER: We did the concert for “Hair” in seven days, and then we got the opportunity to experience it again at the Delacorte, under the stars. That was a really great couple of months, hearing the crowd’s response and dealing with the elements you can’t control, like trying to “let the sun shine in” when it’s pouring down rain, and having raccoons make walk-on appearances. ... I think I got out of the experience what I was supposed to, and it really just led me on my journey to doing “Sister Act” in London. I don’t think I missed out (with the Broadway transfer of “Hair”), because I got one of the best experiences out of it. You know, I wanted to lead a show. But then it was like: “I know ‘Hair’ is going to be successful. What if I go to London and ‘Sister Act’ fails?” ... I really just had to not be afraid, and believe in myself. It was a big opportunity for me, to lead a show, and I knew it could change my life. It did. NBC4NY: It was clear during the "Pippin" press preview that the Fosse elements remain in the dancing (Fosse directed “Pippin” when it premiered on Broadway in 1972). Were you prepared for that? NBC4NY: “Pippin” has circus creation by Gypsy Snider, of the Montreal-based company Les 7 Doigts de la Main. We saw acrobatics during the preview. Does your Leading Player get involved in all that? NBC4NY: I want to go back to Ben Vereen for a moment. If there was something you could ask him, what would it be? MILLER: I’d like to know what it was like to do this show on Broadway in the 1970s. The whole show is a play-within-a-play, so I’d want to know what he did that was on script and what wasn’t. “Pippin” broke a lot of records and touched a lot of people, so I’d want to know who his Leading Player was. I’d want to know what his Leading Player’s name was. NBC4NY: But the Leading Player doesn’t have a name. MILLER: I can tell you what Patina Miller has come up with as her Leading Player’s name: Daniella. MILLER: It derives from Daniel, which is a strong physical name. For me, the Leading Player is a very strong person. She holds herself in a different way. She runs the company during the show. I communicate with the audience to let them know what’s going on, and I take them on this journey along with Pippin as things start falling into place. So I wanted something strong. That’s just how I think of her. Daniella.